They say that if you don't use a muscle it atrophies. If that's true than my brain is propped up on a little pair of crutches. Since I was laid off last May, my brain which felt like it was 99% engaged 24/7 has slowly degenerated into pudding. The days of meeting after meeting and forgetting about lunch until 4pm are long over and my brain has become lazy, dull, hardly challenged. This has not helped me gain back that feeling of being valuable and smart. My witty comebacks are slower, sadly. This. Is. Not. Good. I knew I had to do something more than beat Professor Layton at his own game. 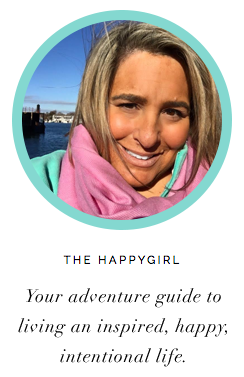 As the first full day of the Happy Girl Experiment, I am challenging my mind. Today I signed up for two courses at the School of Visual Concepts with tonight being the first class in Creative Thinking and Concepts with Intro to Public Relations Writing on Wednesday. In class as we were assigned a creative brief and I felt my neurons firing bing bing bing!! There is something to be said for working your mind. I'm feeling a little like that first day of school. Oh, the possibilities. I just may have to go buy some navy blue wool knee socks to go with this new notepad of mine.